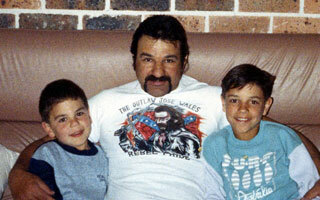 ALEX'S STORY ~ Alex Vella Official Site - Bring Alex Home! My name is Alessio Vella. I was born on the 5th of June 1953 in a farming village in Malta. I am one of 11 children. I was number 7 of the 11. I went to school at St Pauls Bay in Malta, after school I would work the family farm; my job was to take care of our white stallion. As an 8 year old I would also work for some of the local builders, carrying bricks for two schillings a day. In 1963 Five of my older brothers moved to Australia to live and work for a better life, they would send money home to my parents. 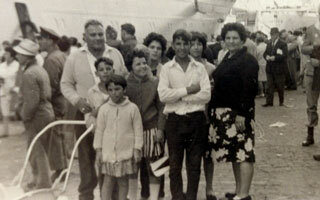 In 1967 mum and dad sold what we had in Malta so we could all travel to Australia to be together again as a family. We travelled for 5 weeks by ship; our first stop was Cape Town Africa, then onto Freemantle in Perth, then Melbourne, then our final destination, our new country, new home, Sydney Australia. My eldest brother had bought a home in Auburn, where we all lived together again as a family. I was 13 ½ years old. I started High School at Berong, but I didn’t do very well in school so after 8 months I left school, in 1968 I started work at Pepsi-Cola for $24.00 a week, My dad had bought some land at Horsley park where we started a strawberry farm, when I wasn’t working for Pepsi I would be working on the farm for my parents. 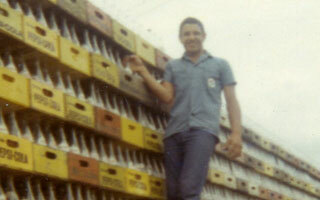 Following my days at Pepsi, I worked for Cottee’s in Auburn, I worked at the foundry in Bankstown, became a gardener at the air force base then got a job at Austral Bricks in Horsley Park. 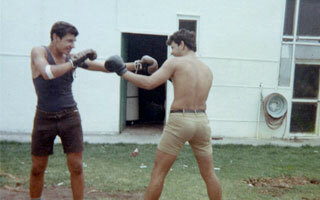 I started my Boxing career in 1969; I was only 16 years old, fighting professionally for $12 a fight. In 1978 I travelled back to Malta and won the Maltese Light heavyweight Championship. I was also rated No5 in the Australian Light heavyweight division. 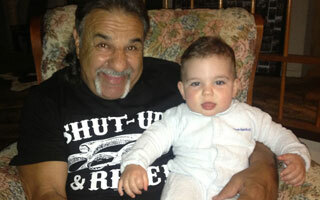 In 1972 with my great passion for motorcycles I started the Rebels Motorcycle Club. I love motorcycles and cars, some of my bikes I have owned for over 40 years, along with some of the members we have been great mates for over 40 years. We love to go for ride and enjoy our mateship and brotherhood. 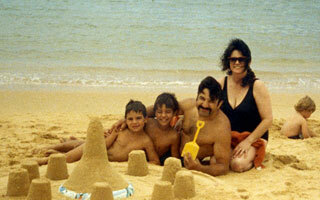 In 1977 while living and working at the Abattoirs in Dubbo, I met my wife Heather, we moved back to Sydney in 1979. In 1980 we bought our home in Horsley Park, where we lived with our 4 sons over the last 34 years. Our 4 sons have granted us 9 beautiful grandchildren, whom we hold close to our hearts and they spend a lot of time with us in our home. After we bought in Horsley park I worked as brickies labourer for 9 years by day, and done door work in the country club and local hotels of a night. Following this I then broke my leg in a bike accident and couldn’t continue in this line of work. We purchased a little bottle shop and supermarket, which my wife and I run for 7 years before selling it. I have always worked and invested wisely in property. I now have 7 properties that I receive rent and now make a living. I spend a lot of my time building bikes also. I love my bikes and it’s my greatest passion. Another passion the club and I have is raising money for children’s charities and helping others in need. I have always worked hard and given back to community, I have always Voted and paid tax. All I want is to be able to return to my home of 46 years and be re united with my family.